Home Bibliophile books A Bookish Wrap-Up | 2017 Reading Challenge, Big Bad Wolf Book Sale Haul. 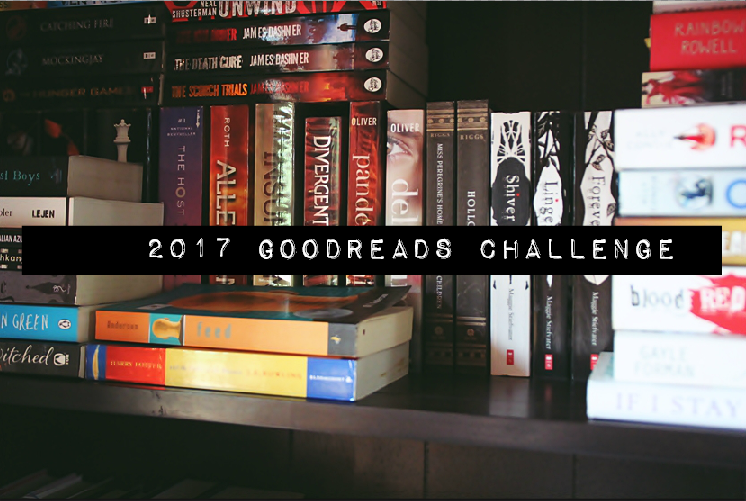 A Bookish Wrap-Up | 2017 Reading Challenge, Big Bad Wolf Book Sale Haul. Given that we are still in January, it's not too late for me to share with you on my reading in 2017!! Goodreads told me that I read 24 books in 2017, far better than my initial goal of 10, which later was increased to 20 books. Not bad, wasn't it? I could finish more, but I wasn't really into reading towards the end of the year. So today, I'll give you a rundown of some general thoughts I have on each of the books that I completed last year. Every tittle should lead you to its Goodreads' page. "Everything, Everything" is about a girl who missed her life because she has been locked up in her house due to an autoimmune disease until she meets her new friendly neighbour. The story was cute and I thought it had a great job at introducing Nicola Yoon's writing to me, hence the 4/5 rating. Later at that time, I read another book from her called "The Sun Is Also a Star", a lot of people seemed to like it but I didn't. I hated the insta-love theme showing throughout the whole story making it completely unrealistic, so I gave it a 2/5 rating. Meanwhile, Krystal Sutherland's debut novel "Our Chemical Hearts" (4/5) easily became one of my favourite books I read in 2017. The male's POV and storyline reminded me a lot of John Green's Paper Towns BUT BETTER. I liked the witty narrative voice of the main character and the other roles in this book weren't boring at all. Good one if you want a fast reading. In the same month, I also picked up "Ultraxenopia" (2/5) by M.A Phipps because I wanted my dystopian fix. The author did a great job with the narration voice of his female main character. However, the plot was easily forgotten. 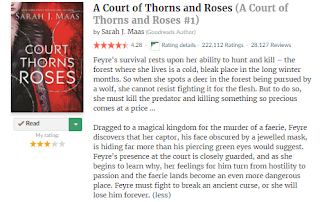 Next up is the book trilogy that I truly love; "A Court of Thorns and Roses #1"; The first instalment is actually a Beauty and the Beast retelling story which sounded so unoriginal and I completely agree with that, haha. However, there were other fantasy elements added to the story making it a whole new story by itself. I rated this book 3/5, but it was surprisingly a good read and very engaging. Just gives ACOTAR series a chance even if you don't like the first book like I do because it will get better, trusts me! Below is the official's book description. February was a month full of good reads. I started with the second book instalment from the ACOTAR series, "A Court of Mist and Fury #2" (5/5) AND IF YOU HAVEN'T READ THIS ALREADY, YOU DON'T KNOW WHAT LIFE IS- LIKE IT'S SO GOOD, A MASTERPIECE, FANGIRLING TO MAX AND NOW I FEEL LIKE CAPSLOCKING EVERYTHING. Fyi, this is my favourite book out of all times and I only have 4 titles listed in the category. Says a lot, eh? "Caraval #1" (3/5) is a debut novel by the author Stephanie Garber and it's kinda like The Hunger Games series in a circus setting. This book was on many people's radars before it was released because of its description that sounded intriguing while the book cover itself looked extremely beautiful. I heard the film option for Caraval has been acquired by 20th Century Fox, so there might be a movie on it later in the future. Everyone gave Tabita Suzuma's "Forbidden" a high rating and that was what had me picked up her book in the first place despite its having a taboo subject. Plot-twist ending, recommended but only for mature readers. Gave this book a 4/5 rating solely because of the writing style alone- it was that good. "Things We Have in Common" by Tasha Kavanagh (4/5) is simply a dark and twisted tale about a stalker. Plot-twist ending as well, just like Forbidden. I like everything that can surprise me up! Recommended if you like suspense and thriller book genre. March was a mix of good and bad books. I picked up Jennifer Niven's "Holding Up the Universe" (1/5) because it was such a popular book online but the story was not up to my alley. I'd probably enjoy it if I was 10 years old younger. Next was a thriller book by Kevin Brooks, "The Bunker Diary". Gave it 4/5 rating because it was such a disturbing, depressing, and torturing book despite it being a good one. Good as in, you can't stop reading it and you want more from this author. I loved the diary format used in its story-telling and I also felt like each page was filled with terror and horror experience. You would gladly enjoy this if you like dark fiction. 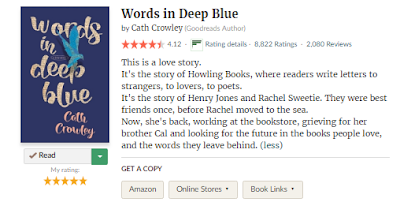 Besides ACOMAF, "Words in Deep Blue" by Cath Crowley was another favourite book I discovered earlier in last year. The book was beautiful :(. All of the writing, setting, pacing, plot, characters, words etc etc, was beautiful and if I'd to recommend you only a book from my last year's reading, definitely pick this up, you will not regret. I gave Words in Deep Blue a solid 5/5 rating and (obviously) listed as one of my favourite book discovery of all time. Ruta Sepetys is known for her historical fiction novels and "Salt to the Sea" (4/5) is my first book from her. Not bad, I'd say! This book had me hooked from start to finish. It usually takes a little bit of time for me to get into a story, but this one had an immediate draw. Set in World War 2 background, it's about the sinking of the MV Wilhelm Gustloff ship in Baltic Sea, a must-read for anyone who loves forgotten history. Last but not least, in March, I also read a poetry book by the ever popular Rupi Kaur, "Milk and Honey" (2/5). Not sure why people went crazy about it because, to me, it was simply a book filled with Tumblr quotes. Only 2 books read in April! The first one was a science fiction novel called "A Thousand Pieces of You (Firebird #1)" where I rated it as 2/5. It was an okay story with good plot and concept but can be quite predictable. The main character has the ability to travel into another dimension, so it's pretty much an adventurous book. I actually loved how the pace has never slowed down since the beginning of it and would recommend it if you are looking for something quick and fun to read. Meanwhile, Banana Yoshimoto's "Kitchen" received a 1/5 because I DNF'ed the book for many months already, mostly due to the fact that it got super boring and couldn't hold my attention for anything. Only read the first part of the story, and completely skipped the latter part. As much as I love reading stories from Japanese authors, this is still my least favourite Japanese books to date. "Hey, it's Hannah. Hannah Baker"- SUPER ICONIC I TELL YOUUU and you guess it right! The Netflix drama made me read it! I started having a reading slump towards the end of April, but I was able to read Jay Asher's book; "Thirteen Reasons Why" (3/5) in May soon after I finished watching the drama. It was an okay story I guess? I enjoyed it but definitely prefer the Netflix version even better. Sarah J. Maas apparently came out with the last volume of the ACOTAR series, "A Court of Wings and Ruin #3" (4/5). It was not the best book in the series, both in term of writing style and content but of course, I did enjoy it and I wished for more! I'm actually glad that the author decided to come out with new spin-off books and I really cannot wait to read them! FYI, this series has a large fan base and has won a lot of popularity awards. The last book for May was K.Y Robinson's "The Chaos of Longing" (1/5). Again, it's a poetry book, actually, I don't even know why I keep reading a poetry book when it's definitely my least favourite genre. Blame it on my ACOTAR book withdrawal, Eid and was being super busy, I didn't do any reading for the following month. 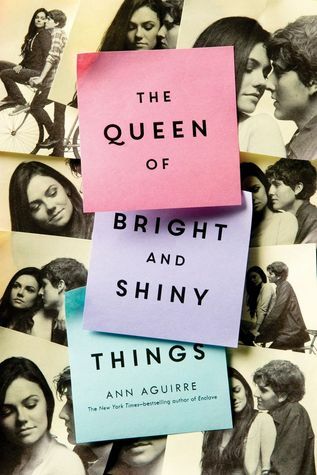 However, in July, I did finish reading a book by Ann Aguirre called "The Queen of Bright and Shiny Things". This contemporary YA book started off interesting but it went downhill afterwards. I remember at some point, I had to force myself to finish it because I really want to complete my 2017's reading challenge. Nothing memorable coming from this book, so it deserved my 1/5 rating. "Awak Suka Saya Tak?" was the only Malay novel I read in 2017 and it was actually a re-read because the drama version of it got aired on Astro. It was gooooood. I always love Melur Jelita writing and I already owned several books from her. In fact, I feel like Melur Jelita is the only Malay author I follow to date. "Brave New Girl #1" by Rachel Vincent wasn't really in my cup of tea despite it being a dystopian book. It was about a girl named Dahlia 16 where she was one of five thousand girls created from a single genome. I remember the ending being a cliffhanger but I'm not sure if that is enough to make want to pick up the next volume. We'll see! 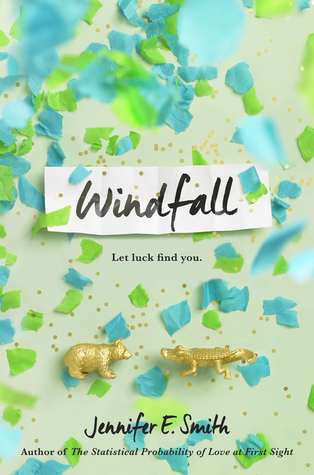 Being my fourth book from the author Jennifer E. Smith; "Windfall" (4/5) did not disappoint at all. I feel like whenever I want to read something light, fun and adorable, I always go back to Smith's writings. She's really like the next Rainbow Rowell to me! Windfall was an easy read, enjoyable, a little bit predictable but the story was well constructed and fluently written. 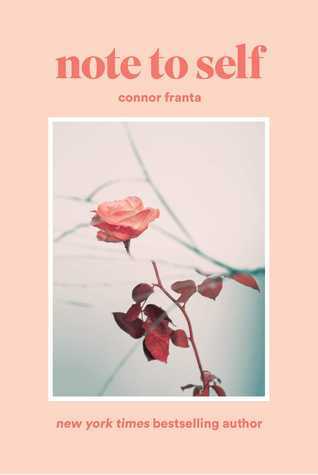 It had been a while since I layan Youtube videos, but that didn't stop me from being updated on the released of a new book by Connor Franta. I remember binge watching his videos 3-4 years ago, now he writes books, ey? "Note to Self" (2/5) was an easy read. While I enjoyed his poetry and personal monologues, I found that some parts were repetitive and sounded basic. I also wanted to share with you my small haul from the previous Big Bad Wolf Book Sale last December. I was there with my brother (who's also an avid reader) on the second last day of the event. There weren't many books left but I managed to find some titles that caught my eyes. Check out this multiple Instagram post for more info. So how did your 2017 Wrap-up look like?